I saw another article this morning that referred to “the Camino de Santiago, a 500-mile walk that stretches from the French border to the city of Santiago de Compostela.” The mistake was made by a reputable travel site, so I considered writing a polite letter to the editor, pointing out their error. But if I tried to take on that kind of project, I’d be writing a lot of letters. But the thing is…there is no “whole” Camino. This makes sense in the historical context: for the earliest pilgrims, journeying to the remains of Saint James for absolution or blessing, this wasn’t about a “starting point.” They couldn’t hop a train to Biarritz or a bus to Pamplona. Their Camino began the moment they stepped out their door. Over time, certain roads became popular, either because they led past other holy relics and shrines, or because they followed established trade routes, offering safer roads and more services. Camino Primitivo, the oldest recorded trail to Santiago, beginning in Oviedo and passing through the rugged, beautiful mountains. Camino del Norte, following the northern coast of Spain along the Bay of Biscay. Camino Vasco del Interiór, a little-known connector trail that links Irun to Burgos. In addition, UNESCO acknowledges the four routes across France that “feed into” the Camino Frances, mentioned in the classic 12th century text Codex Calixtinus. Leading to St Jean Pied-de-Port and the Camino Francés are routes that begin in Paris/Tours, Vézelay, and Le Puy-en-Velay. Branching off behind those are marked trails leading back even farther – Eric and I met pilgrims on the Le Puy route who had started in Switzerland. In his new book, Beyond Even the Stars, Father Kevin Codd (To the Field of Stars) describes how his second Compostela pilgrimage started in his hometown in Belgium. And then there is a route that officially begins in Arles, France, and crosses a southern pass of the Pyrenees, linking with the Camino Francés near Puente La Reina. Pilgrims coming from Italy and other parts south would have filtered onto that path in order to safely cross the mountains. Plus, there’s one that starts in Portugal: the Camino Portugués. This popular route travels north from Lisbon and Porto and draws the second-highest number of pilgrims to Santiago every year. If that’s not enough, the Confraternity of St James has a map that shows 24(!) different marked and maintained routes that all, eventually, lead to Santiago. 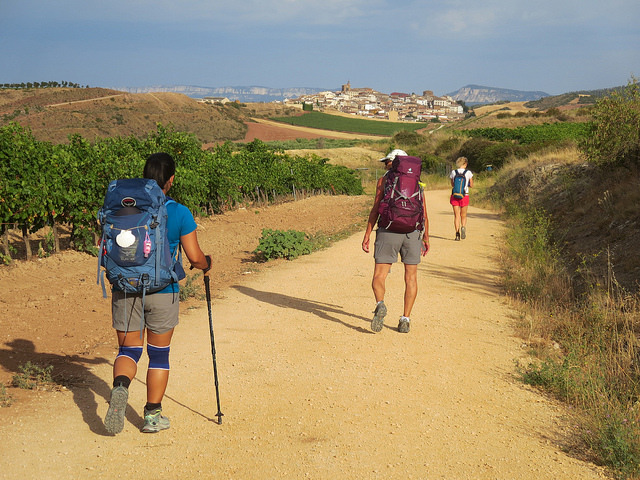 Some connect Camino routes together. Others stretch to every corner of Spain, and a few holy places in France. It can all get a bit mind-numbing to think about. 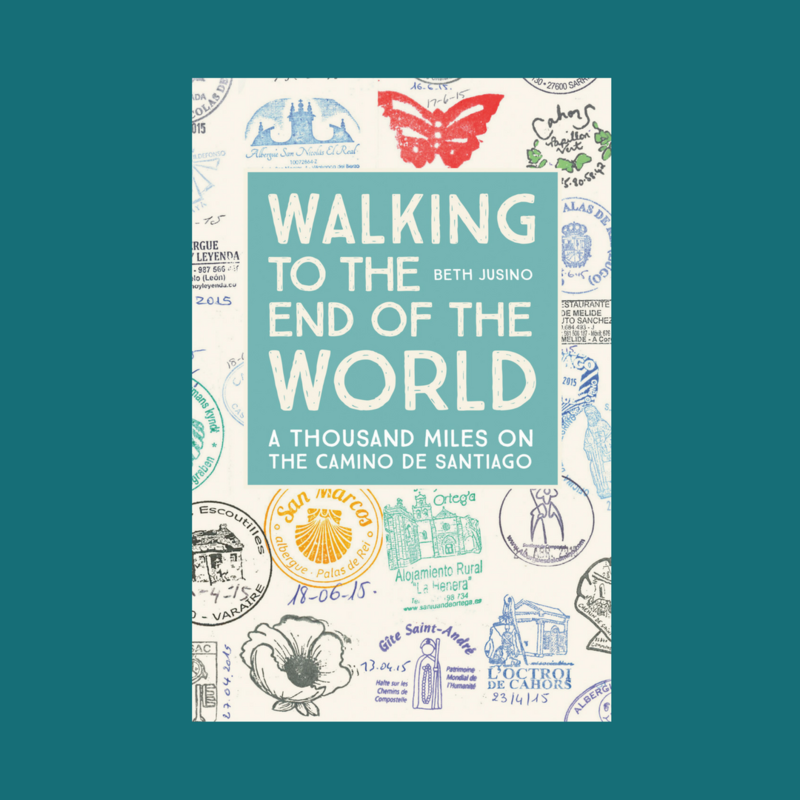 So for now, let’s just all agree that to walk “the whole” Camino would take a lot of time, a LOT of miles, and a lot of backtracking to start again from a new direction. And when someone asks if I walked “the whole” Camino, I tell them that as far as I know, no one has ever done that. There’s always a new path waiting to be explored. What’s your favorite Camino route? What’s the one you’re hoping to experience next? Your explanation would seem to confirm that. The more I read and research, the more of these trails emerge. And it’s not just the Camino. Europe is criss-crossed with state-maintained walking trails that stretch to every corner. As an American who has to lobby just for sidewalks in the city to support more pedestrians, the priority on walking is inspiring. Like Fr. Kevin Codd, so many pilgrims left from their own dwellings or parish churches, walked to Santiago, and then returned home, walking. Now, it’s simply getting TO Santiago, not that I’ve done it or will ever be able to. I’d love to walk from home, alas i live in New Zealand, 🙂 I kindof like that people really have no idea about the actual camino when you tell them; all they know is it is a wonderful feat and so my meagre 120km seems to them to be very special! Those that know might say I haven’t done it at all. 120 kilometers is not meager at all! And it is a wonderful feat, because it’s what you set out to do. Perhaps that’s the point: because none of us have done it “all,” none of us can critique anyone else’s distance. There’s always someone who started farther behind us, and someone who started after. I think all routes must be interesting. I have done parts of the Camino Frances (Spain), 9 days on Via Podiensis. Because I did not do all the route from Puy to St.Jean-Pied-de-Port I am going back this year . I would like to walk the Via Tolosana one day. There are so many routes. If I was living in Europe it would be a bit easier and cheaper but not matter what I want to keep walking and not necessarily only on routes that lead to Santiago. Your text is well done and I like to see the map with all the routes.